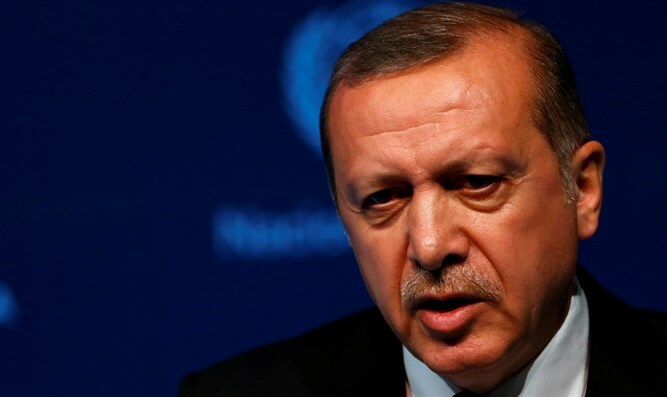 In a suspicious cementing of his power, Turkish President Erdogan suspends thousands of police. As Erdogan continues to crack down on dissidents, Turkey suspended more than 8,000 police officers nationwide, on suspicion of links to Friday's failed coup. The suspensions included policemen from Ankara, as well as from Istanbul. 30 governors and upwards of 50 high-ranking civil servants have also been fired, CNN Turk reported. The dismissals come after Erdogan arrested more than 6,000 people, including thousands of military officers and members of the judiciary branch. Photographs have been released of soldiers stripped to their underwear and handcuffed on the floors of police buses and a sports hall. More than 290 people were killed and around 1,400 wounded in the violence on Friday night, as the Turkish military attempted to seize power, strafing the Turkish parliament and intelligence headquarters, while trying to seize Ataturk Airport and bridges in Istanbul. President Tayyip Erdogan on Sunday announced that parliament must consider the public's desire for the death penalty for the plotters. "We cannot ignore this demand," Erdogan told a chanting crowd, which had been urged to gather by the government and mosques across the country. "In democracies, whatever the people say has to happen." He asked the people to throng the streets until Friday. Late into Sunday night, his supporters continued to wander the squares and streets of the capitol, honking horns and waving flags. The Turkish army last staged a successful coup more than 30 years ago.